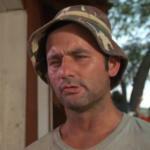 IT'S SUNDAY, SO NO SALES OF BEER, WINE OR LIQUOR IN THIS REDNECK TOWN. 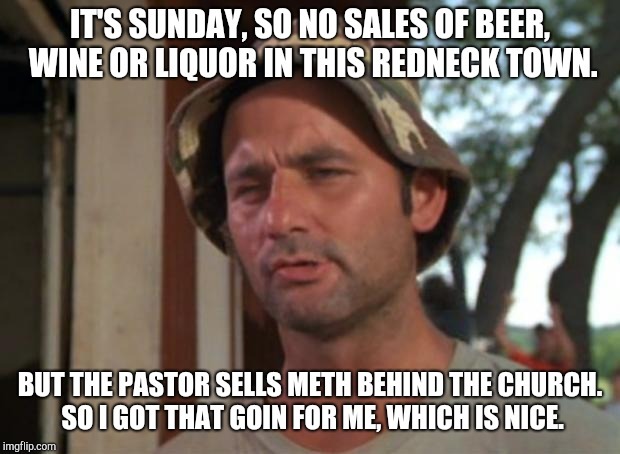 BUT THE PASTOR SELLS METH BEHIND THE CHURCH. SO I GOT THAT GOIN FOR ME, WHICH IS NICE.